Photo credit: Lisa Townley (left); Pyogenes Gruffer (right), Flickr. When my organic chemistry professor told me that the main molecular component of chocolate, theobromine, differs from caffeine only by the absence of one methyl group I was delighted: I could skip an entire step in caffeine metabolism, avoid the bitter taste of coffee, and increase my chocolate consumption. It seemed to make sense that as the caffeine I drank was metabolized by removing the methyl group, caffeine would convert to theobromine (the main compound of chocolate) (Figure 1). At the molecular level, a methyl group is a carbon with three hydrogens attached. It may seem simple, but a methyl group is an integral part of chemistry, biology, and biochemistry. For example, additional methyl groups can help a molecule to cross the blood-brain barrier and enter our brain – this barrier protects our brain from foreign molecules traveling in the blood that can be harmful [1, 2]. In the case of caffeine, it turns out that the extra methyl group on the molecule is what makes coffee active on our central nervous systems and an “energy stimulator,” while chocolate functions as a sweet treat and smooth muscle stimulator. 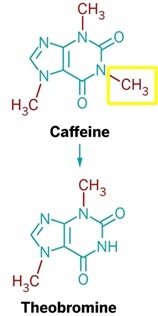 Figure 1: During the metabolism of caffeine in the body, the methyl group (highlighted by the yellow box) is removed from caffeine and it is converted to theobromine (Modified from Wolf LK, 2013) . So how do these two molecules act on different parts of the body, making coffee the substance of choice over chocolate bars when midterm season hits? Caffeine is mostly derived from Coffea Arabica, or coffee beans, and seeds . It is predominantly a central nervous stimulant, though it also stimulates cardiac and skeletal muscles and relaxes smooth muscles. Chocolate, or theobromine, is found in products of Theobroma cacao, or cocoa plant seeds (Figure 2). Much like caffeine, theobromine is a diuretic; however it mainly acts as a smooth muscle relaxant and cardiac stimulant . While these two compounds have similar effects, the key difference is that caffeine has an effect on the central nervous system and theobromine most significantly affects smooth muscle . In behavioral studies, caffeine intake improves self-reported alertness and mood over a period of 24 hours . Theobromine produces mild positive effects in pleasure, but does not affect attention or alertness in moderate doses compared to caffeine . Figure 2: Chocolate (left) is made from Theobroma cacao, or cacao plant seeds and contains theobromine (PC: Nic Charalambous). Coffee (right) is made from Coffea Arabica, or coffee beans, and seeds and contains caffeine (Photo credit: JIhopgood/Flickr). But the true difference in the compounds lies at the molecular level. Both caffeine and theobromine belong to the methylxanthine chemical family. These chemicals act as stimulants of the nervous system, most notably by binding to adenosine receptors in the brain and thereby blocking adenosine from binding to the receptors . Adenosine binding to adenosine receptors normally reduces neural activity, so the antagonistic action of caffeine and theobromine prevents this activity reduction (Figure 3). The increased energy and alertness that we connect to massive coffee consumption is due to the caffeine preventing your body from responding to signals that tell it to slow down or de-stimulate. Ever felt your hands jitter uncontrollably after too many shots of espresso? 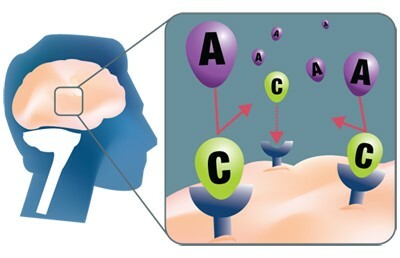 Figure 3: Caffeine molecules (C) compete with adenosine molecules (A) to bind to the adenosine receptors in the brain (Schardt, 2012) . 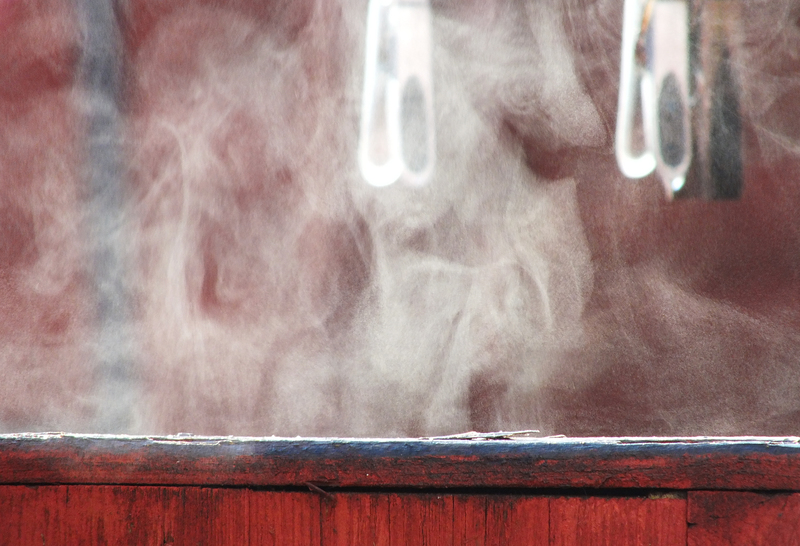 Experiments show the activity of caffeine on the nervous system is stronger than theobromine . Caffeine and theobromine compete with adenosine to bind to the same adenosine receptor. Studies have shown that caffeine molecules are better able to compete with adenosine to bind adenosine receptors than theobromine – caffeine binds these receptors with two to three times higher affinity than theobromine . To gain access to the different locations of the adenosine receptors throughout the body, the extra methyl group on caffeine ends up coming in handy. Because caffeine has three methyl groups instead of two like theobromine, it more easily crosses the blood-brain barrier. In crossing the blood-brain barrier, caffeine can act on the central nervous system. So while theobromine can act as a heart stimulant and smooth muscle relaxant, caffeine – boasting its extra methyl group – has access to the neurons of the central nervous system and can consequently enhance physical performance and increase alertness. This means my master plan to forego coffee for chocolate won’t actually improve my alertness and energy to the same extent. However, indulging in chocolate flavored coffee may provide me with all the caffeine derivatives I need for a stimulating day. Vauzour D, Vafeiadou K, Rodriguez-Mateos A, Rendeiro C, and Spencer JPE. The neuroprotective potential of flavonoids:a multiplicity of effects. Genes Nutr. 2008 3(3-4): 115–126. Svenningsson P, Nomikos GG, Fredholm BB. 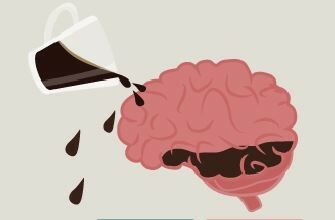 The stimulatory action and the development of tolerance to caffeine is associated with alterations in gene expression in specific brain regions. J Neurosci 1999. 19(10):4011–4022. Barile FA. Clinical toxicology: Principles and mechanisms. 2nd ed. Informa Healthcare Press. 2010. Ch 15, Sypathomimetics. 174-177. Ruxton C. The impact of caffeine on mood, cognitive function, performance and hydration: a review of benefits and risks. Nutr Bull 2008. 33:15–25. Baggot MJ, Childs E, Hart AB, de Bruin E, Palmer AA, Wilkinson JE, de Wit, H. Psychopharmacology of theobromine in healthy volunteers. Psychopharma. 2013. 228(1): 109-118. Kuribara H, Asahi T, Tadokoro S. Behavioral evaluation of psycho-pharmacological and psychotoxic actions of methylxanthines by ambulatory activity and discrete avoidance in mice. J Toxicol Sci. 1992;17:81-90. Daly JW, Butts-Lamb P, and Padgett W. Subclasses of adenosine receptors in the central nervous system: Interaction with caffeine and related methylxanthines. Cell Mol Neurobiol. 1983. 1: 69-80. Wolf LK. Caffeine Jitters. Chem & Eng News. 2013. 91(5): 9-12. Schardt, D. Caffeine! Nutrition Action Healthletter. 2012. Swift, C. (2014, June 2). Which is better for your brain? Beer or Coffee? You’ll never guess. [Web log post]. Christina Jayson is a recent UCLA Biochemistry graduate and currently a Ph.D. student in the Biological and Biomedical Sciences program at Harvard. In Europe, the offspring of a genetically modified ewe “escaped” from the French National Institute for Agricultural Research and ended up on the Parisian meat market, sparking discussion on the implications of GM animals in the food supply, scientific literacy of the general public, and mistrust of the scientific community. 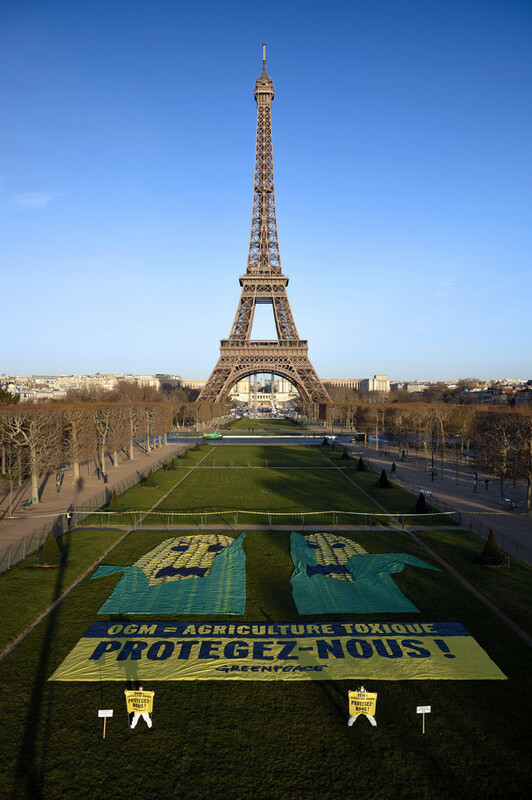 In America, Monsanto’s latest herbicide-resistant crops continue the conversation on the consequences of accelerated selection for genetic mutations. A charcuterie board is the perfect accompaniment to any gathering and rivals a cheese plate as a crowd-pleaser. It’s low maintenance, delicious, and will almost certainly have a taste or texture to appeal to the pickiest of palates. 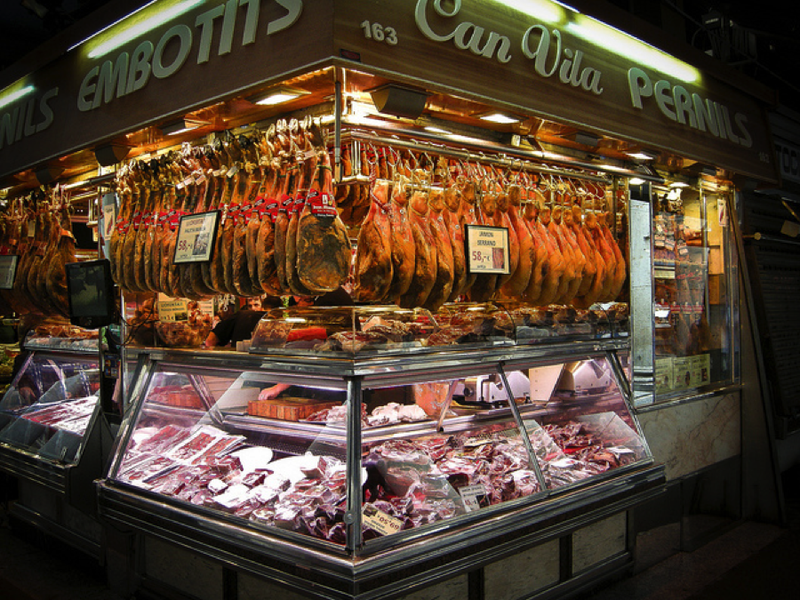 Meat comes in an array of textures, fat content, and flavors, which vary species to species and even within the same animal. Flavor profiles of meat can vary wildly and subtleties between different cuts of meat can all be largely explained by chemistry. What is meat exactly? 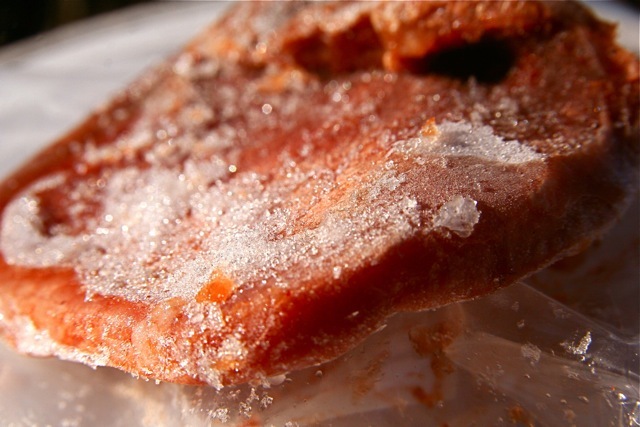 Meat can loosely mean any type of edible tissue originating from an animal – including everything from chicken feet to cow tongue. The majority of meat we consume, however, is skeletal muscle tissue, comprising roughly 75% water, 20% protein, and 3% fat. While the function of muscle tissue—which is to generate movement—is simple, muscle tissue is a complex system of biochemical machinery. Muscle tissue consists white and red fibers, which each generate contrasting types of movement. The major differences between the two types of muscle fibers are summarized in the table below. The main distinction between these types of tissue is in their function and metabolic demands. Red muscle fibers are designed for endurance—think long distance running—or sustained motion. Red tissue runs on fat and oxygen and absolutely requires oxygen to function properly. Since red muscle tissue demands oxygen, it contains an abundance of a pigmented protein called myoglobin. Myoglobin binds and stores oxygen from the then passes it along to a fat-oxidizing cytochrome that generates ATP to fuel the cell. The more exercise a muscle receives, the higher its demand for oxygen, and the more myoglobin and cytochromes it will contain, leading to a darker appearance. White muscle fibers, on the other hand, are specialized for more sporadic and brief energetic demands. These tissues use oxygen to burn glycogen, but can also produce energy anaerobically if needed. However, anaerobic metabolism results in the buildup of lactic acid and limits the endurance of these tissues, which is why they can only be used for short periods. White muscle fibers, unsurprisingly, are what comprise white meat—chicken breast, turkey breast, frog legs, and rabbit meat. The link between structure, function, and taste can be used to answer the question of why chickens and turkeys have a combination of dark and white meat, but why ducks and geese are all dark meat. They’re all birds, after all, so it’s rather surprising that there’s such a drastic difference in their breast meat, until you consider their habits. Chickens and turkeys are relatively flightless birds. They stand, walk, or run, and use their legs to bear their weight. Their constantly used legs are mainly dark meat and their infrequently used breasts are composed of white meat. Duck and geese, however, are migratory birds whose flight patterns enlist the use of breast muscles to help them stay airborne for extended periods. To aid them in sustained flights, their chests muscles require increased stores of oxygen and myoglobin, making their breast meat dark, in stark contrast to a chicken or turkey’s breast. The dichotomy of metabolic demands between red and white meat clearly impacts their physiology, but how does this translate into taste? 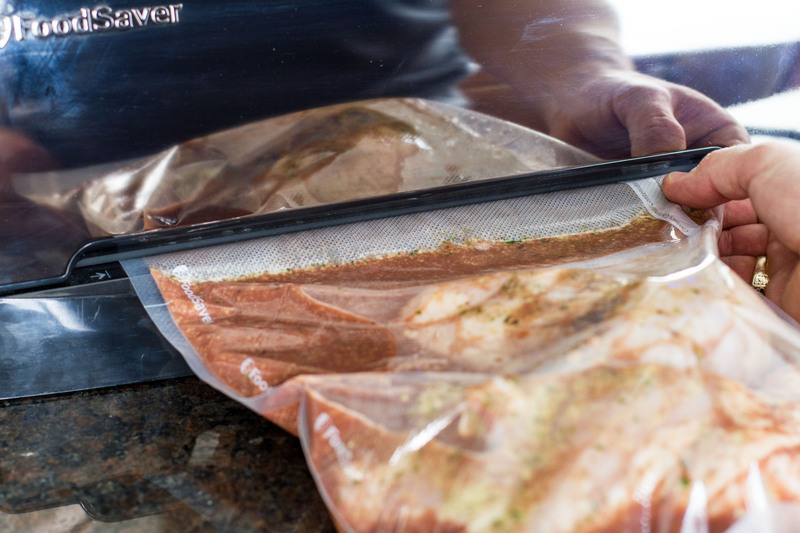 The complexity of the biochemical equipment needed to store fat and oxygen and metabolize fat in red muscle tissue equates to a higher number of enzymes present in the cell that can break down and produce more flavorful compounds when cooked. A piece of dark or red meat is fattier, boasts richer and more complex flavors, and retains moisture far better than white meat. How else can chemistry explain the different tastes of meat, ranging from the beefy flavors of cow to the gamey flavors of duck breast? It’s a common saying in the culinary world that where there’s fat, there’s flavor. While fat serves as storage for energy, it doubles as storage for flavor. With fat distributed throughout the meat, any fat-soluble flavor or aroma compounds can end up in them providing meat with its unique flavor profile. What winds up in the fat is heavily influenced by diet – cows taste “beefy” as a result of flavor compounds metabolized from grass and forage. 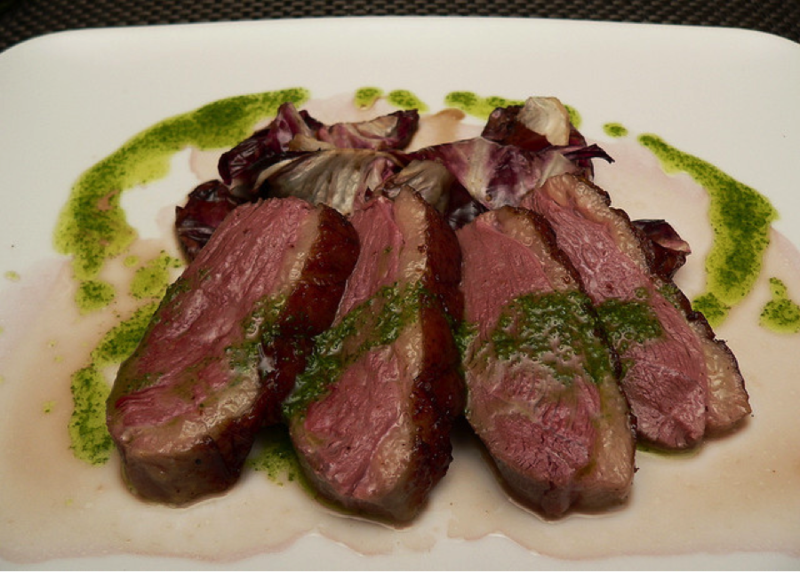 Lamb and sheep’s distinctive flavors come from compounds produced by the liver, and the gamey flavors of duck meat are likely derived from intestinal microbes. Examining meat through a scientific lens allows us to relate some common mantras of biology, chemistry, and cooking: structure and function go hand in hand, fat is where the flavor is, and you are (and you also taste like) what you eat. In the context of meat, physiology and flavor are intertwined and whether you’re a fan of dark or white meat, you can surely appreciate the fascinating connection between animal physiology and flavor. 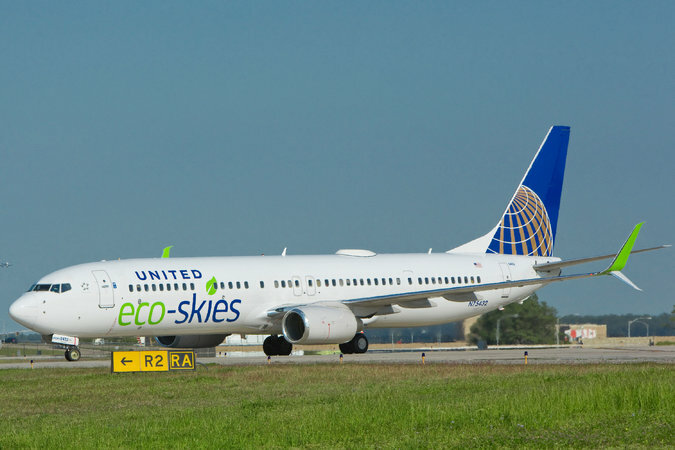 In an effort to decrease air pollution, United Airlines is using a biofuel combination consisting of traditional jet fuel, farm waste, and animal fats. To further shed light on the national food waste dilemma, John Oliver explores the multitude of consequences arising from “farm-to-not-table”. 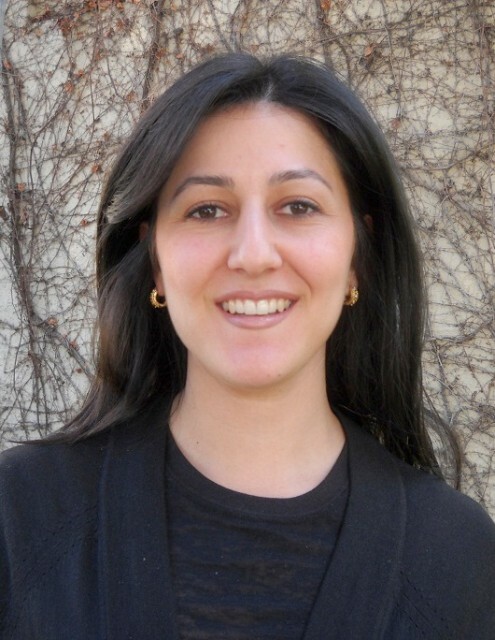 Eve Lahijani graduated from UCLA with a B.A. in Economics and Business and went on to earn her Masters in Nutritional Science at CSU Los Angeles. She is now a registered dietitian for Vitamineve, a nutrition counseling service, and a nutrition health educator at UCLA. Eve’s Fiat Lux seminars on body image and proper nutrition have given many UCLA freshmen the tools necessary to maintain a healthy relationship with food. I love learning about eating behavior. What, how and why people eat is intriguing to me. Especially when the eating is not related to physical hunger. The process of denaturing an egg white and turning that into a soufflé is like magic to me. Ice cream is cool. Couldn’t help myself with that pun 🙂 I do appreciate the endless array flavors, textures, colors and combinations that can be created! How complicated eating behavior and food has become for some people (especially in harmful ways including over and under-eating and other compulsive eating behaviors) – and each individual’s process of understanding, simplifying and ultimately healing their relationship with food. I love Boysenberries and they are a blackberry/raspberry hybrid. Thank you science! And of course seedless watermelon. 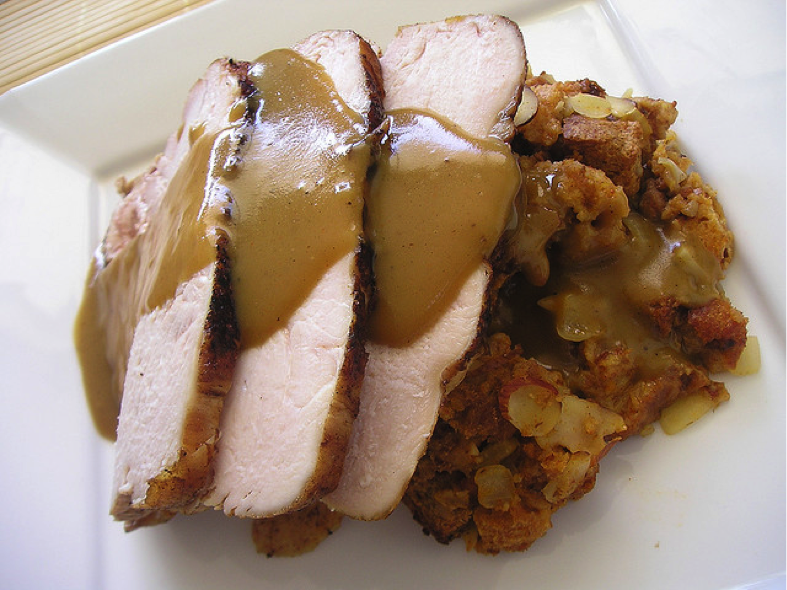 Yes: Eating in a balanced way is like a pendulum in a grandfather clock. You know, it swings back and forth. If the pendulum swings really far in one direction, due to the laws of physics it will swing far back in the opposite direction. Same holds true with eating. That is, if someone restricts (or goes on a diet) it pushes the pendulum too far in one direction so the better someone gets at depriving themselves the more likely the pendulum would swing far back in the opposite direction which may result in binges, cravings or overeating. I like to plan to have well balanced meals that include components that bring about satisfaction. So I like to make sure my cooking involves carbohydrates, protein and fat – as well as fruits and vegetables. My science experiments include cupcake decorating along with trying new recipes with ingredients I get from the farmers market. Oranges, soy milk, Brussels sprouts, peanut butter, eggs and garlic so I guess that’s six! Does chocolate flavored coconut ice-cream count as a food ingredient? It’s always evolving. Right now I am into a mushroom, onion and garlic omelet or whole grain waffles with peanut butter. Whatever I choose I usually include some fruit and/or milk.